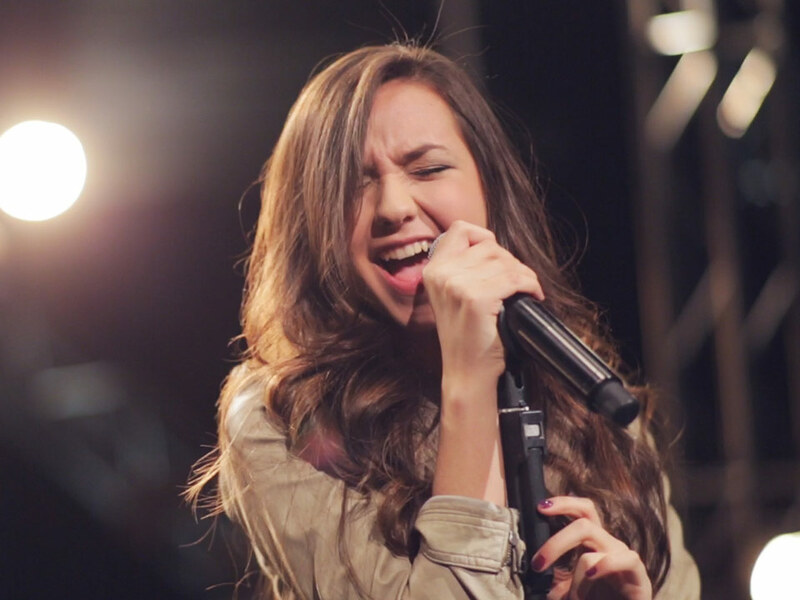 YouTube Wunderkind, Maddi Jane is actively using a variety of social media platforms such as Facebook, Twitter and Keek. The talented young singer has gotten over 1.3 million Facebook fans. Other than building her fan base online, Maddi Jane also encourages her fans to send traditional mail to MSOCB.com, 1489 W Palmetto Park Road, Suite 300D, Boca Raton, Fla 33486. Because of her online popularity, her name is in the Billboard Social 50 chart. The people listed on Billboard’s Social 50 chart are ranked based on their popularity on leading social networking sites such as YouTube, Vevo, Facebook, Keek, Twitter, MySpace and iLike. Some of the things that are being used to calculate the score and determine the rank in Billboard’s Social 50 chart are weekly additions of fans or followers, song plays, and page views. Due to the success of Maddi’s version, Taylor Swift released the original as a single a week after Maddi / Taylor never saw the track as a hit single until MJ hit over 20mil views). Her new Original “Only Gets Better” song will be released Tuesday March 31st, and its co-written by Maddi Jane. How did you started in the business? When I was 11 I went to my guitar teacher’s house for a jam session with his nephew and my teacher decided to record it. We put it up on YouTube just for fun and a couple days later the Ellen show called and invited me to sing on the show. That devolved into a great platform to share my music from. Do you have any future plans that want to share with us? I will hopefully be releasing my first EP this spring/summer and have a lot more music to come. It changes weekly to be honest. Uptown Funk is definitely a good jam. Hopefully making a living by doing what I love. If I was to turn on your iPod right now, what songs would I see? Do you ever get nervous to perform? All the time. My mom always tells me that my only job I have is to “have fun and share my gifts”. It sounds cheesy but it actually helps me to just focus on doing those two things when performing. Who is you’re role model? Do you have any future collaborations that you can share? Many are being discussed but I can’t share details at the moment. How was performing at The Ellen Show? I remember her and her staff being really sweet to me and people making my hair really silky before I went on stage lol. What do you think of Social Media, and how important has been to you? Without social media I wouldn’t be able to connect with my fans as much as I have so it has been really important to me for that purpose. Why do you use Keek as a tool to release your new music? I’ve decided to use Keek to preview and premier my newest songs and videos on their social media platform. I feel it has such a wide grasp to my fans and new fans all over the world. Plus it gives me the most time and best opportunity to play my videos for the fans to see and hear. I also love that my fans can Keek me back with actual video messages and say hi and tell me what they think of my new music or about themselves . It’s my Goto App to reach my fans and its so easy to use. Sport: I’ve done a variety of different sports like soft ball, horsebackriding, gymnastics, dance etc. But I think I love dance the most. Travel Destination: Anywhere in Europe.